New Yorkers are getting ready to draft their ultimate Fantasy Football team and football games call for some offensive lineman-sized viewing experiences. Many buildings in New York City offer spectacular screening options. So good, in fact, you might have a hard time convincing anyone else to host. 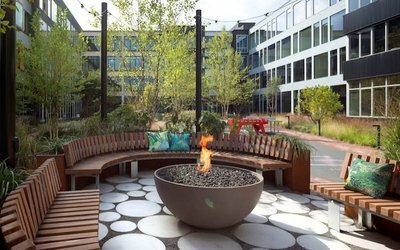 At the beginning of the season, many buildings provide outdoor lounges where you can watch the game and the sun set over the city skyline. Toward the end of the season, others have posh indoor entertainment rooms where you can warm yourself by the fire, drink craft beer and cozy up into comfy chairs fit for any NFL celebrity. Here are 15 New York City buildings perfect for first downs to touchdowns. 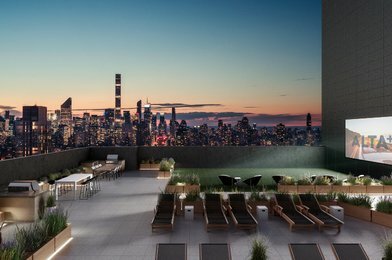 This new downtown Brooklyn mixed-use condominium tower offers ones of the coolest football game viewing options around – you can watch football while simultaneously swimming in the tallest infinity pool in the Western Hemisphere at 68 stories above the streets of Downtown Brooklyn. The heated, outdoor infinity pool is located next to a landscaped rooftop terrace. 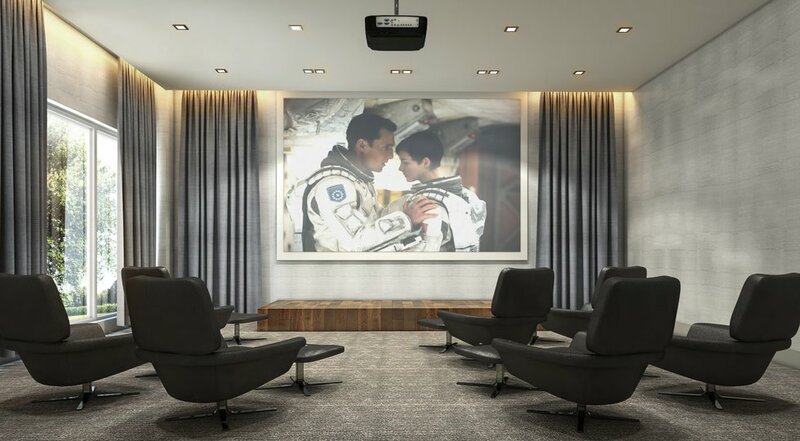 Once the weather gets too chilly, there is also an indoor screening room. All of that with iconic views of Manhattan and you may never get your friends to leave even when the game is over. 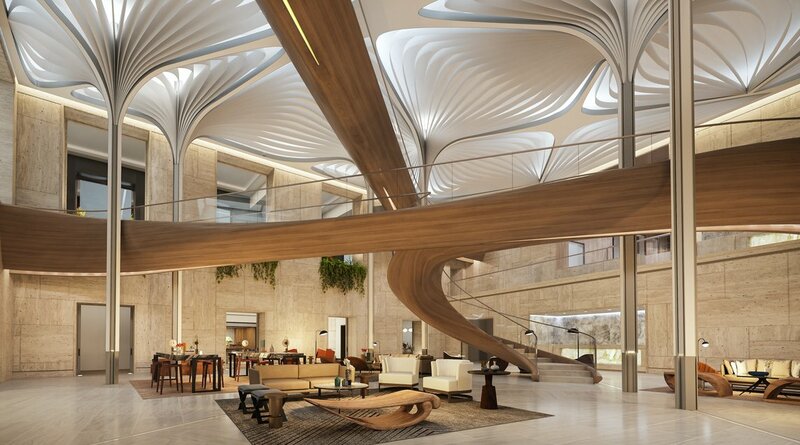 In addition to offering top amenities like a private fitness club by Equinox, a heated indoor lap pool, a full-size indoor basketball and volleyball court, and an internet cafe, MiMA, the luxury rental building at 450 West 42nd Street, has indoor and outdoor screen rooms. Football fanatics can catch the game on the big screen in the outdoor theater while grilling up some game food on the BBQ grills or head back in to the indoor screening room for a cozier game night. In addition to their abundant amenities, the 43-story ALTA LIC has a landscaped outdoor deck with a movie screen and lounge chairs perfect for dining, watching the big game and catch a glimpse of the stunning skyline as the sun sets. 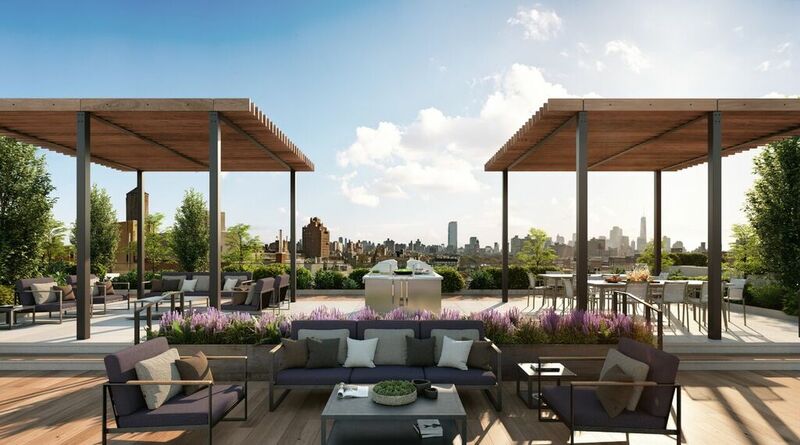 The East Village’s EVGB is a rental building that features an expansive, 19,000 square-foot, highly-programmed rooftop deck set against the backdrop of Manhattan with areas for playing, lounging and socializing for residents’ enjoyment. 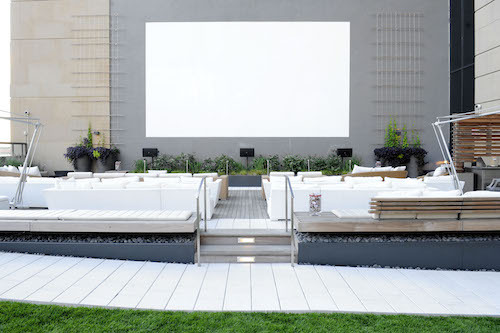 The building has an outdoor screening area with an oversized projection screen perfect for any game. 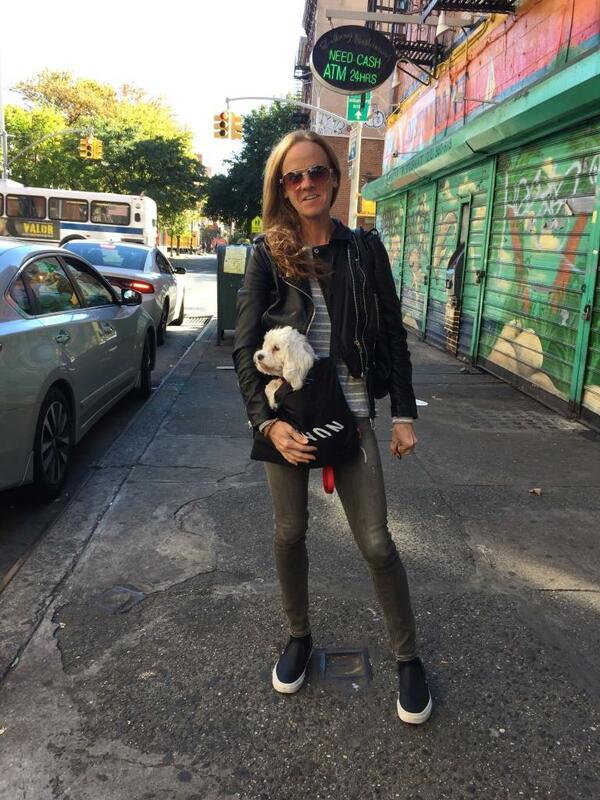 Harrison Urby is a 409-unit rental complex located two blocks from the Harrison PATH station, just 20 minutes from Lower Manhattan, making it a cinch for your friends to get to the party. Set around a landscaped courtyard, Harrison Urby has a heated saltwater swimming pool and patio, as well as fire pits and a great lawn. For your football party, the building provides bean bag chairs on the grass in front of the outdoor movie screen, everyone will be totally cozy no matter how long the game. With panoramic views of the park, city and river, this Upper East Side rental residence offers an amazing place to watch the game in the 20th floor entertainment lounge. The room features breathtaking Central Park views, a walnut paneled bar, and is spacious enough for tons of friends and family. There is also a screening room with theater-style seating and a large-screen high-definition surround-sound experience. Anchoring the eastern corridor of Manhattan’s Billionaire’s Row, 252 East 57th Street is a 65-story ultra-luxury condominium designed by internationally recognized architectural firm SOM. The amenities, which were custom designed by lauded AD100 interior architect Daniel Romualdez, include an exclusive 34th Floor Club, which is home to a large screening room. 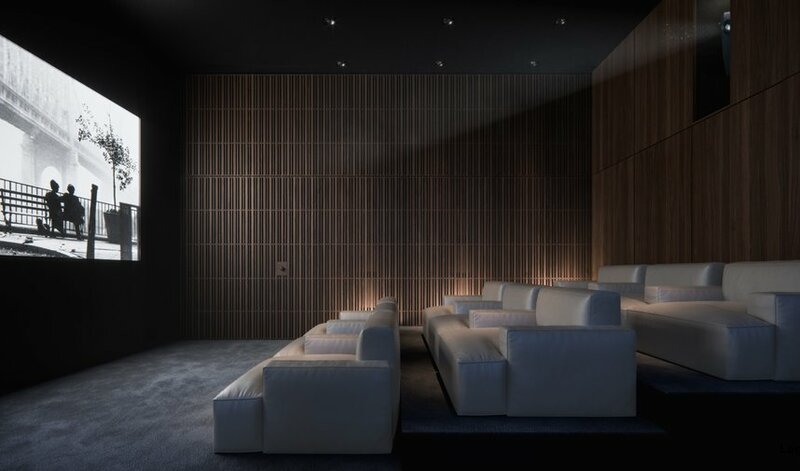 Residents can reserve the beautifully upholstered theatre, which features state-of-the-art audio and visual capabilities and stadium-style seating. 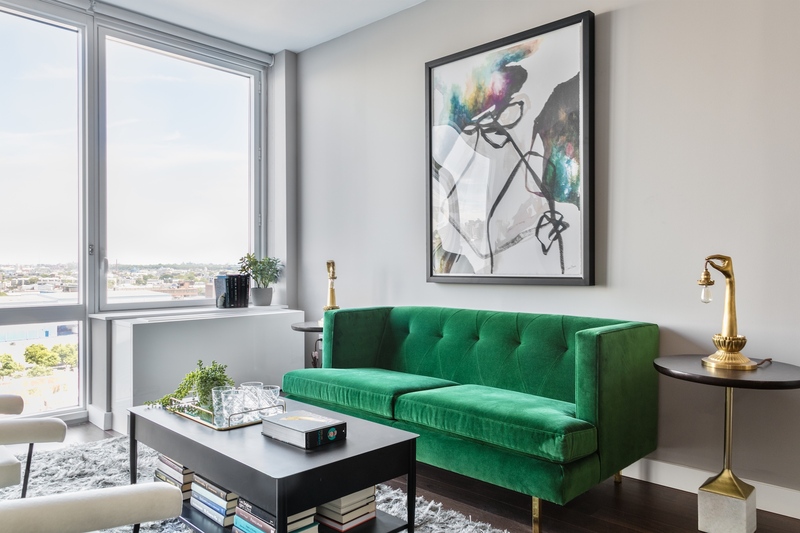 The Lindley, a new 20-story, full-service condominium building in Murray Hill that emphasizes smart design, thoughtful planning, and sensible living, has a Design Within Reach furnished lounge boasting a large, wide-screen TV and sitting area for game-days, as well as a table to hold drinks and snacks. Waterline Square, designed by Rafael Viñoly Architects, Richard Meier & Partners Architects, and Kohn Pedersen Fox Associates, the five acre community is connected by The Waterline Club, designed by famed hospitality group Rockwell Group. 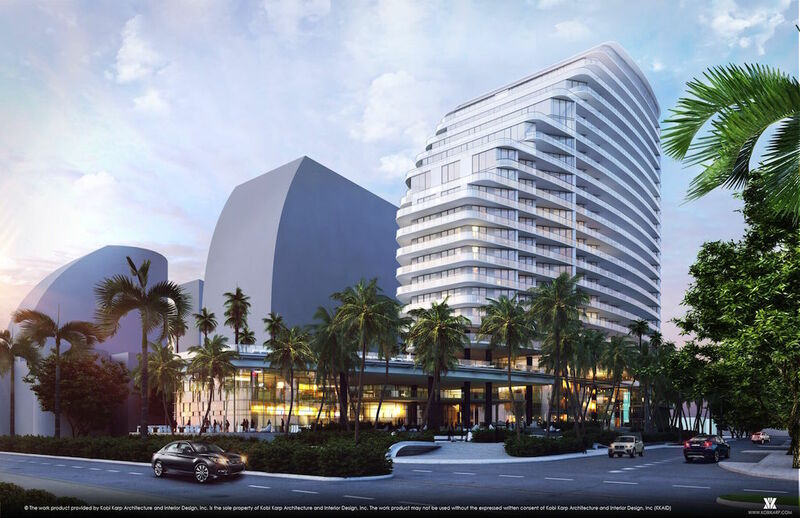 In addition to more than 100,000 square feet of amenities and a beautifully landscaped park, The Waterline Club features a spacious screening room with large-screen televisions and comfortable seating. Designed by celebrated architect, Robert A.M. Stern, and developed by Silverstein Properties, 30 Park Place has an iMax-style screen is situated perfectly on the front wall and has state-of-the-art audio and visual capabilities, while stadium-style seating allows for views of the football game no matter where you are in room. Situated in the heart of Midtown East, 685 First Avenue, developed by Solow Building Company and designed by Richard Meier & Partners Architects has 12-seat screening room with built in stepped seating. Watch the game in style as the room is surrounded by a subtle palette, richly tactile materials and furniture by design luminaires including Finn Juhl, Fritz Hansen, De La Espada and Knoll. 88&90 Lexington residents can enjoy watching their favorite football teams this NFL season from the comfort of their own building inside 88&90 Lex’s private cinema, which includes several rows of plush armchairs situated in front of an HD flat screen equipped with surround sound. Located in New Jersey’s thriving Jersey City, Park and Shore’s two-building development has been outfitted with an extensive selection of amenities designed to provide the ultimate recreational, social and fitness experiences for residents in both buildings, and football fans in particular will rejoice at the communal screening room, which provides the perfect place to tune in to your favorite games as the season gets underway. 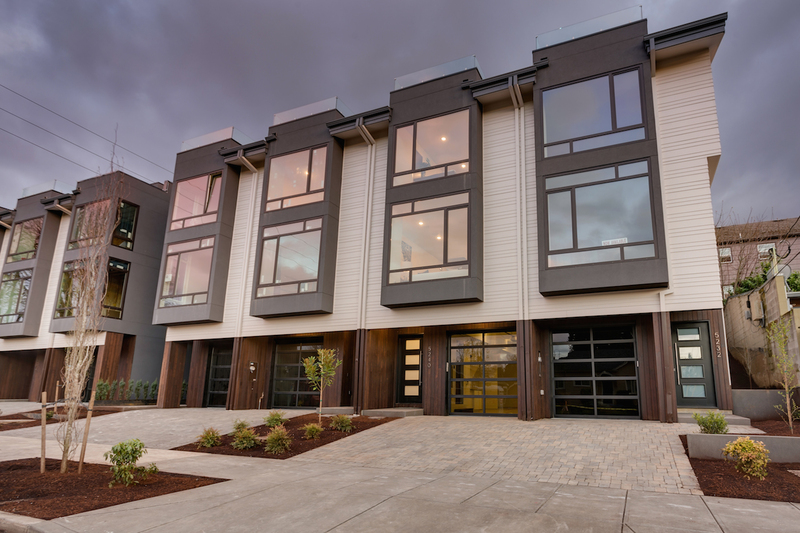 Outfitted with a large screen TV and plenty of seating, large windows provide an abundance of natural light, but are also adorned with long drapes should you want to block out the sun for an at-home movie theater experience. 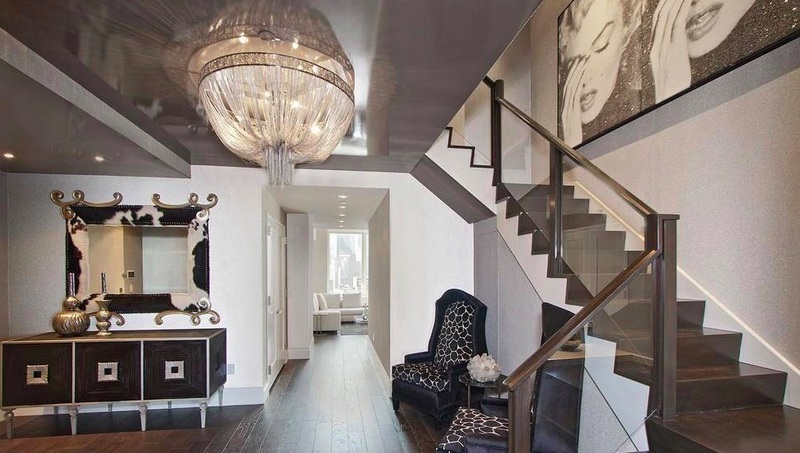 The Tate, at 525 West 23rd, offers top living in the heart of Chelsea. The reserve-able party room has a large screen TV, open kitchen, sofas, tables and chairs to ensure your guests know your place is the go-to during football season. 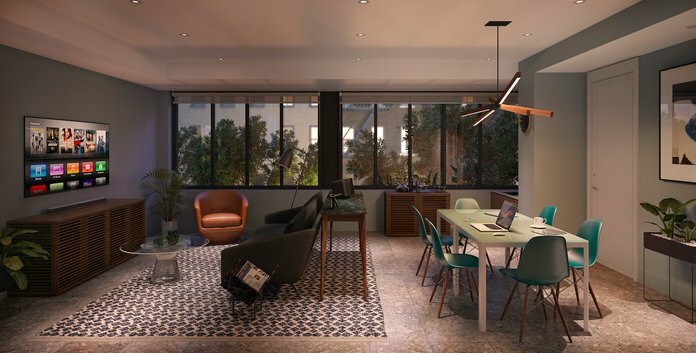 At 105 Duane Street, the stunning resident lounge at Tribeca Tower features an open kitchen, comfortable seating and dining areas, and a large screen TV.